Very occasionally you want to throw shoes at the television. 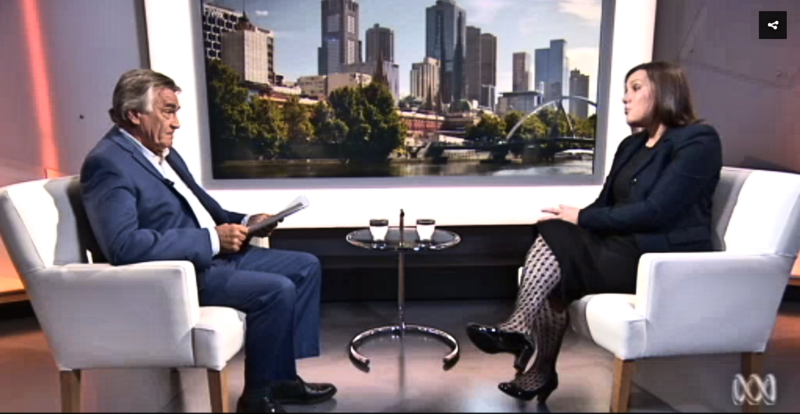 Kelly O’Dywer’s interview on Insiders was one of those. Ms. O’Dwyer is Financial Services Minister. She was on Insiders talking about the disastrous revelations coming out of the Financial Services Royal Commission, which is investigating the banks and other financial institutions. There is a basic first step in media interviews: answer the question. It’s dead simple. If you answer the question, viewer trust goes up, more so if your argument makes sense to the listener, and even if he/she doesn’t completely agree with you. If you don’t answer the question trust goes down. All O’Dwyer had to do was agree with the patently obvious. She didn’t and, for many people, listening stopped. The interview will be used as an example of ‘what not to do’ by media trainers for months. BJ: Some of the evidence coming out is saying it was a systemic problem. It wasn’t a case of a couple of rogue employees… It seems to be coming to light, PK, there was a culture of, well if we can get away with it we get away with it. BJ: And I’m part of the reason for that. Joyce is a controversial figure, but love him or hate him, his plain talking would have connected to many people. There is a very simple formula for difficult interviews. At is most basic it’s Q=A+M. Listen carefully to the Question: Answer the question directly and honestly, then get to your Message. Under the spot light its more complex than that, but that’s the most critical beginning. And it’s where O’Dwyer failed. I’m also assuming O’Dwyer consulted with a media minder, and did a practice interview, knowing Cassidy would be tough. That’s an obvious part of the preparation. And it was clearly a fail. Honesty is not that tough. This kind of misstep changes governments when margins are narrow. With every revelation, the Royal Commission is now going to be an ongoing embarrassment for the government. Ms. O’Dwyer and the Liberals had everything to gain, by admitting vulnerability on this issue, by simply saying they got it wrong. Then more people would have listened to the measures they are taking, which seem significant, to fix the problem. But the water-cooler talk in many C-suites and among communications professionals today will be stuck on the Minister’s refusal to acknowledge the obvious. We live in an extremely complex communications era, and there is little tolerance for these basic blunders.